Jonesing For Trout Season! You don't have to with the Rogue River Holy Water! I love standing knee deep in the middle of the a winter swept river swinging huge flies, but all the dredging it takes to get winter steel makes me day dream about warmer days and more delicate presentations. Luckily, I don't have to wait on the Rogue River! The Holy Water, as its called, is open to flyfishing year around. 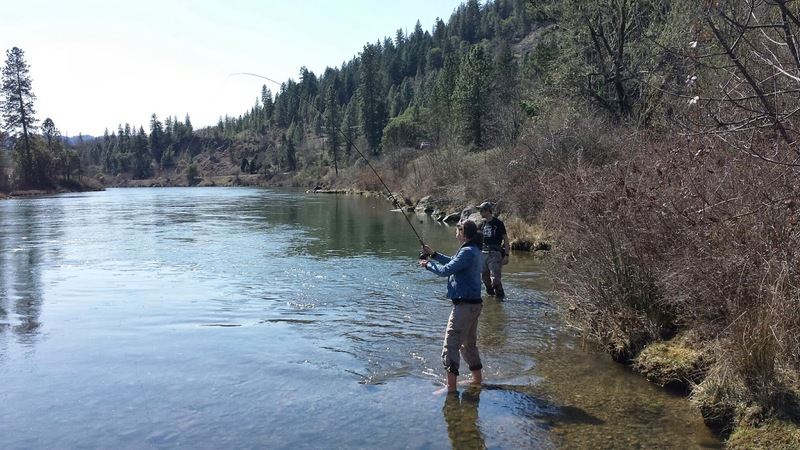 It also houses some of the largest Trout in Southwestern Oregon. These fish came from the Cole River Hatchery, but have had many years of wild spawning making them act like wild fish. They readily come to a well presented fly. Many say that the best time of year is late April to May, when the salmon flies come off, but I like to fish them this time of year when their is hardly any pressure. As the spring flows warm you can swing soft hackles or dead drift nymphs with success. So if cabin fever has you beat, get out! The Holy Water will welcome you! Mini spey strikes agian on the Rogue River Holy Water! Kandace showing Mark and I how its done! Waders, only boys need waders! 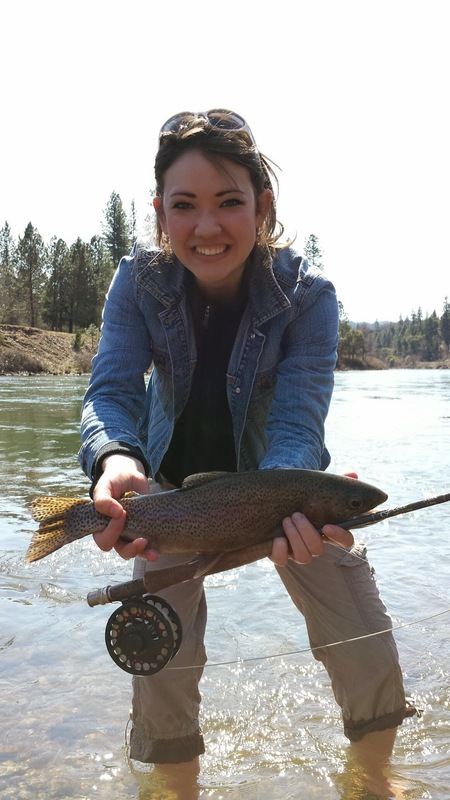 Kandace with a nice Rogue River Holy Water Trout. Bet her feet are cold. Sprague River and Trout Spey Fly Fishing! Hello Southern Oregon Fly-fishers. If you are in or around Klamath Falls, come out to KLAMATH COUNTRY FLY CASTERS Monthly meeting on the 15th of April, at Elmers Restraunt in Klamath Falls at 7 PM, if you would like to eat dinner come at 6:30. I will be giving a presentation on the Sprague River, and Trout Spey Fishing Tips. Hope to see you there! 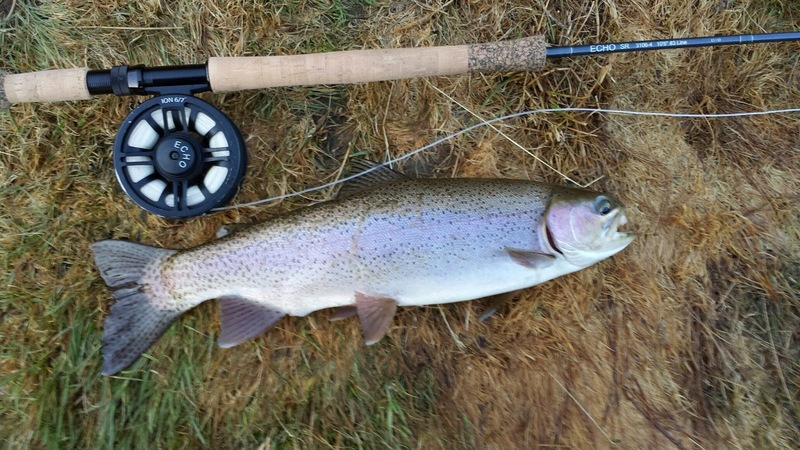 Sprague trout on the swing! When a certain rod matches you its pure Magic! That is what I am finding with the LTS rods. I'm not sure what they are made out of, but they are nothing short of amazing in my book. Donna, from www.fishon-sports.com let me play with yet another LTS....The Most striking of all them...the 1309-4 Across! Check out my review below!